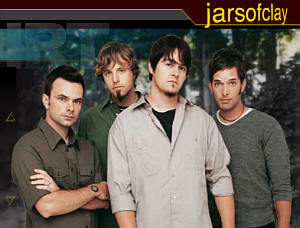 Jars of Clay’s critically acclaimed, fourth studio release, The Eleventh Hour, garners the band a Dove nomination for “Modern Rock/Alternative Album,” while the album’s hit single, “Revolution” receives honors in the “Modern Rock/Alternative Recorded Song” category. The band receives two additional nods for “Long Form Music Video,” 11 Live-Jars of Clay In Concert, and for “Special Event Album” for its contribution to Essential Records’ City On A Hill-Sing Alleluia. In addition to the Jars of Clay nominations, individual band members, Dan Haseltine, Stephen Mason, Matt Odmark and Charlie Lowell, each received two Dove nominations, one as producer for The Eleventh Hour, and one as songwriter for “Revolution.” All told, the band could receive a total of 12 Dove Award statuettes during the 34th Annual Dove Awards. Back Home, the fifth and latest studio project from one of Christian music’s most celebrated artists, finds the Houston-based band trusting its creative instincts to make a record reminiscent of its beginnings yet reflecting the group’s progress over the last decade. 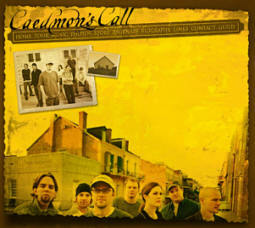 This album reemphasizes Caedmon’s Call as an eclectic, folk-influenced live band. It demonstrates a musical and spiritual maturity culled from a decade’s worth of artistic influences and experiences.